Mr. and Mrs. Steven Sielski of Amherst celebrated their 65th wedding anniversary with a gathering at Protocol Restaurant in Williamsville. 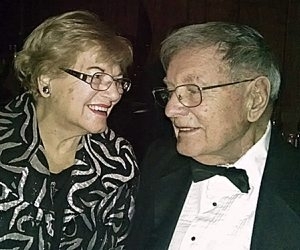 Mr. Sielski and the former Doris Link were married Feb. 19, 1949, in St. Anthony of Padua Catholic Church in Syracuse. He is retired from Eli Lilly Company with 38 years of service in pharmaceutical sales. She is a retired pharmacist. They have six children and four grandchildren.